After making history in February by becoming the first Las Vegas native to win a major world boxing championship, Ishe Smith will return home on Friday, July 19, to defend his IBF Junior Middleweight World Championship against number two rated IBF junior middleweight contender "King" Carlos Molina, at The Joint At Hard Rock Hotel & Casino in Las Vegas, live on a special edition of Showtime Boxing. Also in action in separate bouts will be unbeaten rising stars Mickey Bey Jr. and Badou Jack. "This is the homecoming I've been waiting for my entire career and there is no way that Carlos Molina is leaving Las Vegas with my championship belt," said Smith. "He's a tough fighter and a guy no one wants to fight, but that's why I have no problem fighting him in my first title defense. I'm here to fight the best and show that I'm a true champion." "I respect Ishe Smith for stepping up and taking this fight, because not many world champions would," said Molina. "That being said, this is my opportunity to win the title and it may not come around again, so I have to make the most of it and I will." After a long career that saw him go from the world of reality television as a star on "The Contender" to a series of ups and downs at 154 and 160 pounds, Las Vegas' Ishe Smith (25-5, 11 KO's) finally put it all together in late 2010. Smith started a four fight winning streak that culminated in a 12-round decision win over Cornelius Bundrage on February 23 that earned the 34-year-old the IBF Junior Middleweight Championship. Now the reign of "Sugar Shay," Mayweather Promotions' first world champion, begins with a hometown bout against the always tough Molina. Long avoided by the elite at 154 pounds, Patzcuaro, Mexico native Carlos Molina (21-5-2, 6 KO's) is finally getting his shot at a world championship on July 19 after a decade slugging it out in the ring. 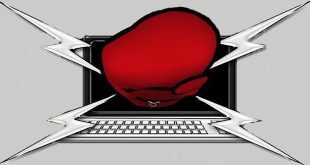 Now making his home in Chicago, the 30-year-old Molina began making noise with his disputed draw against Erislandy Lara in 2011, and he has since won four of five bouts, defeating former World Champions Kermit Cintron and Cory Spinks during that span, with his only loss coming via controversial disqualification against James Kirkland in March of last year. Former amateur star Mickey Bey Jr. (18-0-1, 9 KO's) just missed out on making the 2004 United States Olympic team, but he has since made an equally impressive name for himself as a professional, winning 18 against no losses. A talented athlete with technique and power, Mayweather Promotions' Bey can outbox opponents or knock them out, making him a dangerous foe for anyone on fight night. A 2008 Olympian for Gambia, Swedish-born Las Vegas resident Badou Jack (14-0, 10 KO's) has become an international boxing sensation in recent years, and the 29-year-old is just approaching his fighting prime. 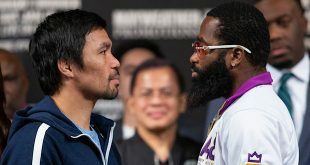 A pro since 2009, Jack can bang to the head or body and after his third round knockout of Michael Gbenga in his last fight in May on the undercard of his promoter Floyd Mayweather's fight against Robert Guerrero, "The Ripper" is looking for another quick finish on July 19. Opponents for Bey and Jack, as well as a full undercard, will be announced shortly. Smith vs. Molina, a 12-round fight for Smith's IBF Junior Middleweight World Championship title, will take place on Friday, July 19 at The Joint at Hard Rock Hotel & Casino in Las Vegas. The event is presented by Mayweather Promotions, sponsored by Corona and will be televised live on Showtime beginning at 10:00 p.m. ET/PT, delayed on the West Coast. 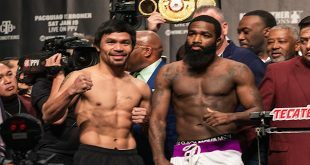 The evenings co-featured bouts will see undefeated lightweight contender Mickey Bey and highly touted unbeaten super middleweight prospect Badou Jack in action in separate fights. Tickets priced at $125, $100, $75, $50 and $25, plus applicable taxes, fees and service charges, go on sale on Friday, June 21 at 12:00 p.m. PT and will be available for purchase at Hard Rock Hotel & Casino Box Office, all Ticketmaster locations, online at www.ticketmaster.com or by phone at (800) 745-3000.